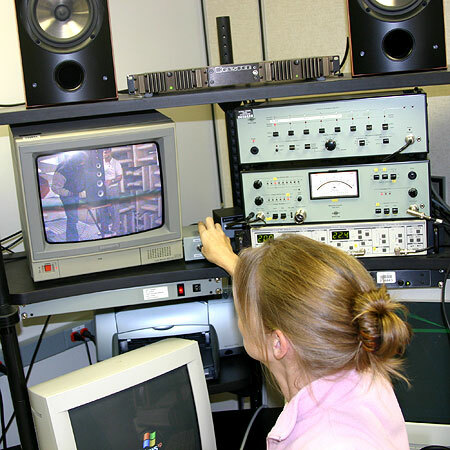 Since 1982, Axiom has been an integral part of the research into psycho-acoustics and the relationship between loudspeaker anechoic measurements and real-world listening tests. Read more about the research here. 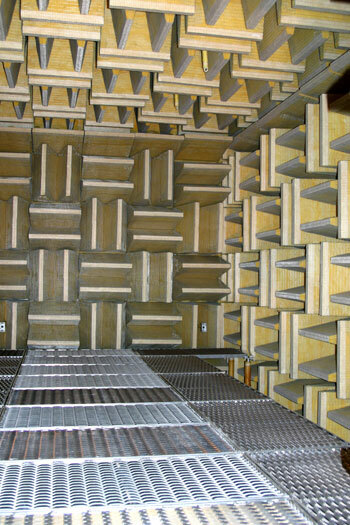 In order to facilitate the higher volume of ongoing research and development at Axiom, we are installing our own anechoic chamber, identical to the chamber located at the National Research Council in Ottawa, pictured left. 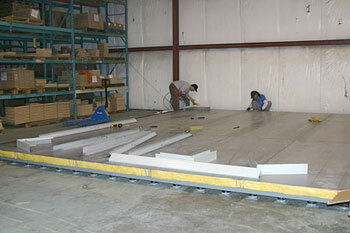 The 'floating floor' is installed. 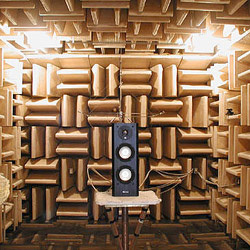 The entire chamber is elevated on springs to completely isolate it from floor-conducted vibration. 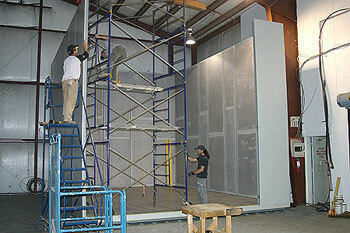 Next, the walls are erected. After the walls, the ceiling goes on. The outside structure is complete. 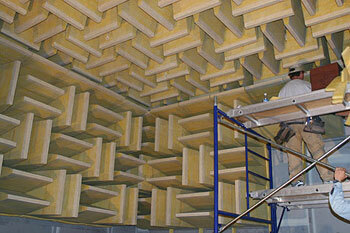 Work begins on installing the sound-absorbing wedges on all six interior surfaces of the chamber. 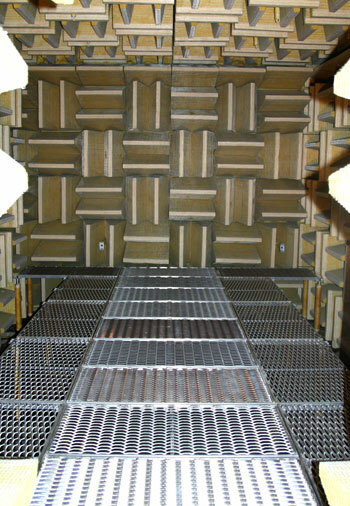 Once all the wedges are installed, the chamber will be tuned to match the reference anechoic chamber at the NRC (upper left), and then a pivoting, rotating speaker holder will be added. 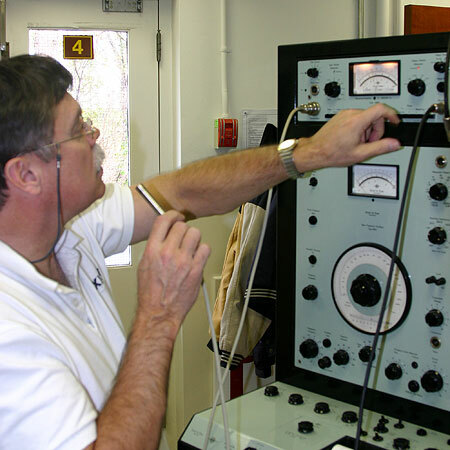 Finally, a lab with measuring and calibration equipment will be added to the front of the chamber.